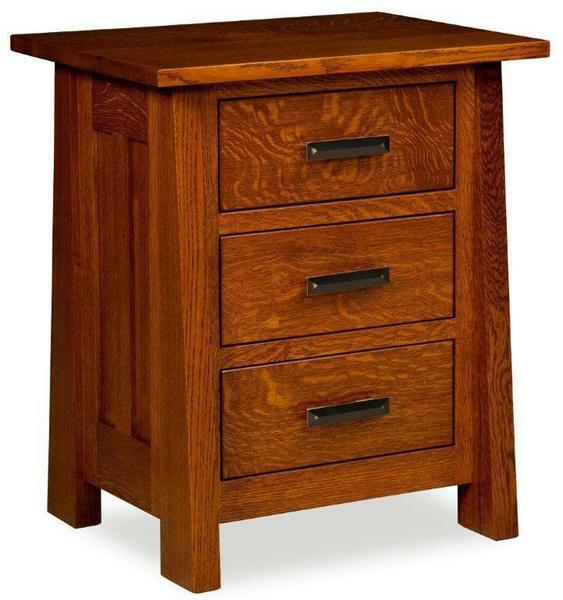 This Amish handcrafted Freemont Mission Nightstand is available in a 27" height or a 30" height. It comes with three dovetailed drawers on full extension drawer slides. Choose to order it in the quarter sawn white oak wood that is shown or in oak wood, brown maple wood, rustic cherry wood or cherry wood with a wide variety of stains.